Item Description: Larchmont’s straightforward design serves a timeless look at every meal. 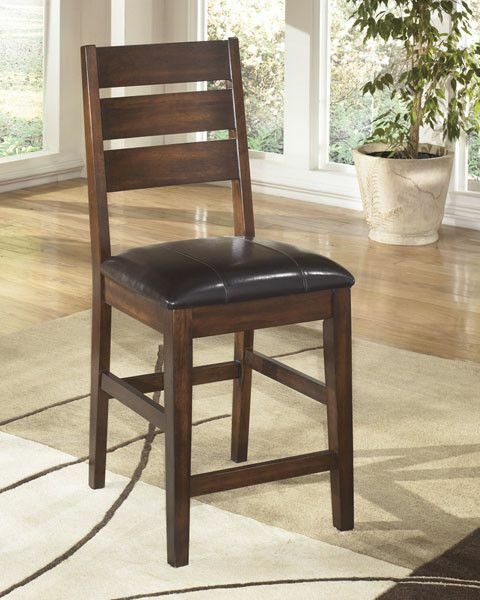 Burnished faux leather softens the cushioned seat. A warm finish gives the frame a pleasing rustic appearance. 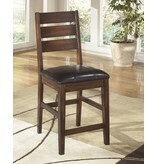 Item Features: Rich burnished dark brown wood finish.